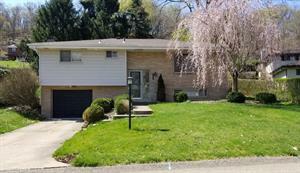 3 bedroom, 2 full bathroom home in Ross Township. The location is unbelievably convenient to Downtown Pittsburgh, McKnight Road, I-279, shopping and restaurants. Gas Stove, Microwave, Refrigerator, Dishwasher and Disposal. Dining Room has sliding glass door that leads to the covered patio and private yard. Available June 3, 2019. 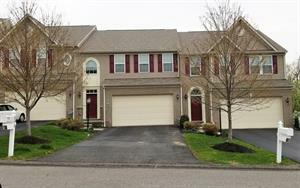 Spacious and roomy 4 Bedroom 3.5 Bath Townhouse. Main living area has an open floor plan. Hardwood Floors. Walk-out to the large private deck. Kitchen with breakfast bar, rich wood cabinetry, tile backslash & pantry are just a couple steps away from the garage. Owner suite has two walk-in closets. The huge finished basement has great space with a 4th bedroom or office. Full bath with shower. Located minutes from Southpointe, I-79 N/S Exit. A short drive to Rt. 19 at Donaldson Crossroads. Canon McMillan School District. Pet friendly.